"All dressed up and ready to go"
"I'm ready, Let's go !" 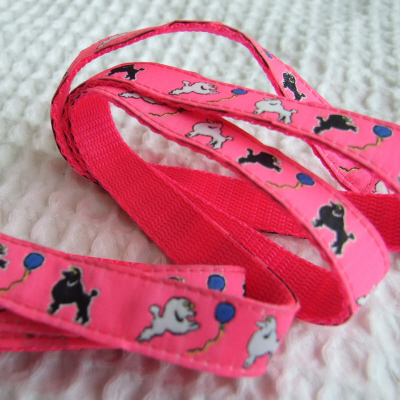 A Toy Poodle design on pink woven ribbon sewn onto sturdy pink nylon webbing. 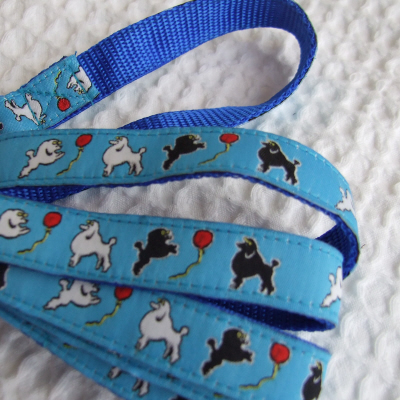 A Toy Poodle design on blue woven ribbon sewn onto sturdy blue nylon webbing. 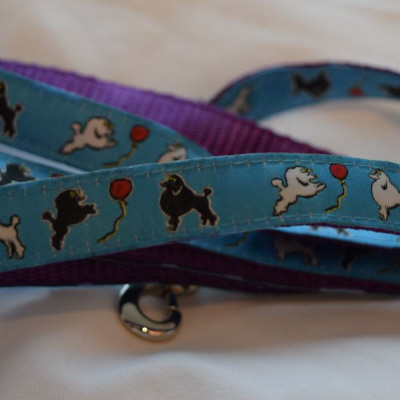 A Toy Poodle design on Blue woven ribbon sewn onto sturdy Purple nylon webbing. 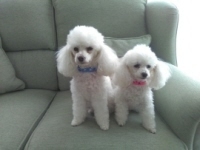 A Toy Poodle design on woven ribbon sewn onto sturdy nylon webbing. 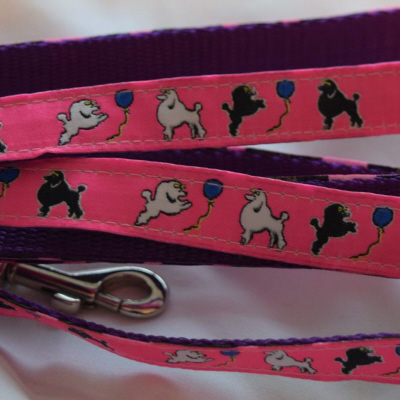 A Toy Poodle design on Hot Pink woven ribbon sewn onto sturdy black nylon webbing.